Happy Sunday! This doesn't have a whole lot to do with music so if you'd like to skip this post now, feel free. 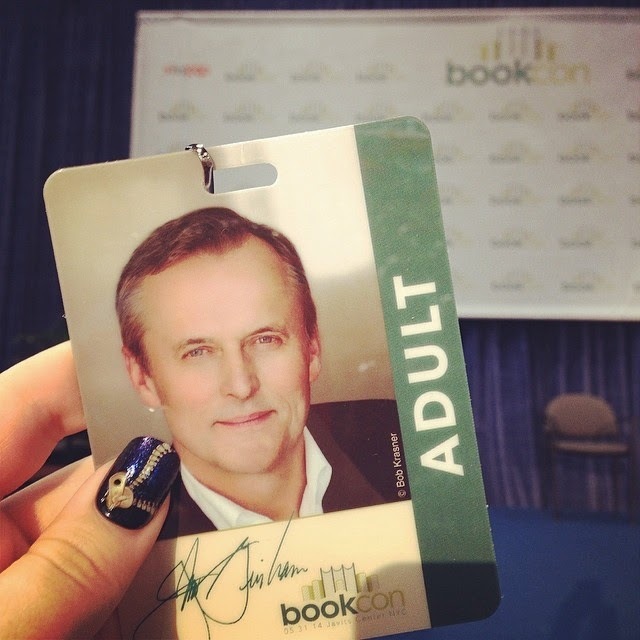 However -- for those of you are nerds like me and enjoy reading as well as listening to music, I'm here to dish a little bit about the first annual BookCon event held here in NYC yesterday. As a New York City resident, I spent a lot of time on the subway trains, in particular while commuting between my job in Manhattan and my home in Brooklyn. Suffice to say, I read a lot of books. BookCon is a new off-shoot of the annual BookExpo, re-invented and re-imagined by the same team who puts on the dizzying New York Comic Con every year (I attended last year with the job -- it was insane). It was held at the Jacob Javits Convention Center (which is literally in the middle of nowhere in Hell's Kitchen), the place is 1,800,000 square feet -- it's gigantic. Only half of the showcase floor was open for BookCon (aka for the normal average book-lover who purchased a ticket), the other half was reserved for BookExpo ticket holders (aka trade/industry people, librarians, press, writers, folks who's main job centers around literature), but there was still so many booths (and books) to see and learn about. In addition to the showcase, which featured all of the major US publishers as well as a ton of indie and self-published authors, there was also a series of panel discussions with authors like Veronica Roth (Divergent) and John Greene (The Fault In Our Stars) -- the latter being the biggest attraction for the younger set. A slew of celebs who have put out or will be soon publishing memoir material were also present, including Jason Segel, Stan Lee, Amy Poehler, Martin Short, Cary Elwes and Danielle Fishel. We didn't make it to many of the panels due to the sheer number of people present -- plus we were more interested in seeing as much as possible rather than waiting in place for hours on end, as many did. One panel we did get in to featured celebrity chef Mario Batali (complete in neon orange Crocs), talking about his upcoming recipe compilation. There was a lot to buy if you were so inclined, but there was a lot of material offered for free. Many of the authors were giving away copies of their book gratis and would sign them personally for you which was really thrilling and a great way to interact with the people who enjoy writing. I waited in line to meet Fishel, of Boy Meets World and now Girl Meets World fame, and Elwes (both actors were a big part of my childhood) and was a little disappointed that neither were offering their material, only autographs and in Fishel's case a photo. 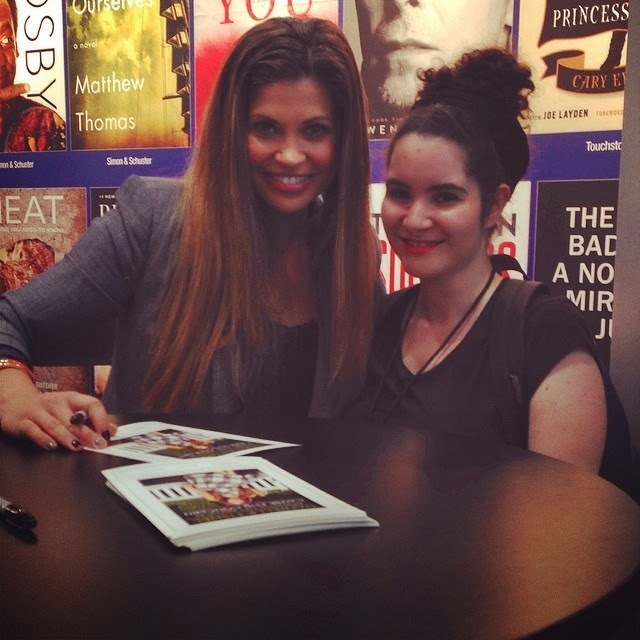 Don't get me wrong -- it was so much fun to meet them in person, but I was looking forward to reading Fishel's upcoming memoir, Normally This Would Be A Cause for Concern, out in September. Instead, she and Elwes provided excerpts from their upcoming pieces (Elwes' is called As You Wish, a memoir about the making of the iconic 'The Princess Bride' film). The big get was Stephen King's new book, Mr. Mercedes, which will be available in stores on June 3rd, 2014. Only 200 copies were given away at BookCon with five of them signed by King himself. My copy wasn't signed -- but I do have it. King is one of, if not my very most favorite author so you better believe it will be the first book I received from the event I'll be reading. 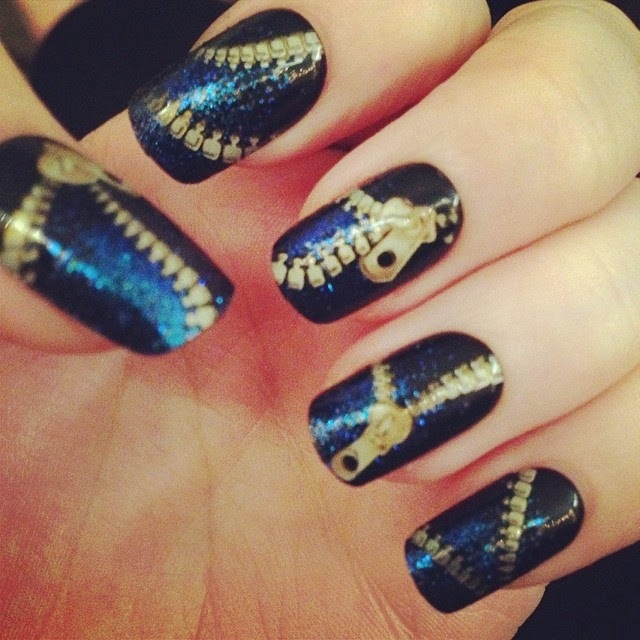 And for those who were curious, here's a snap of my imPRESS zipper mani I chose to wear to the event.